We publish all or our work to the Standards and Guidance of the Chartered Institute of Archaeologists in line with Archaeological Best Practice. All of Mercian’s reports are logged with the relevant Historic Environment Record when complete in accordance with standards and guidance for archaeological best practice. As a Community Archaeology company and as a CIC it is our aim to make all of our work accessible (where possible) to the public, free of charge via this website to enable the widest possible dissemination of knowledge. 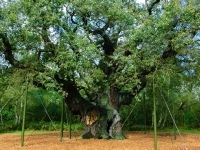 For long term self funded research projects; such as ongoing research projects at King John’s Palace in Sherwood Forest http://www.mercian-as.co.uk/kjp_sfap.html - interims are published in the annual Transactions of the Thoroton Society Short Reports, and appear where possible on this page. 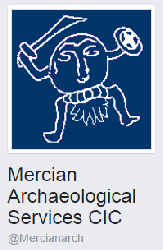 Mercian uphold the “right of primacy” as specified by the Chartered Institute for Archaeologists, as authors, during the period of writing of reports. As professional archaeologists the full publication of our work is essential. We would advise anyone to please check that a provider has a track record of delivering reports before working with them. Andy Gaunt and James Wright. 2013. Transactions of the Thoroton Society (of Nottinghamshire): Community Archaeology at Thynghowe, Birklands, Sherwood Forest. Lynda Mallett, Stuart reddish, John Baker, Stuart Brookes and Andy Gaunt. 2012. Transactions of the Thoroton Society (of Nottinghamshire): Bothamsall Castle, Nottinghamshire. 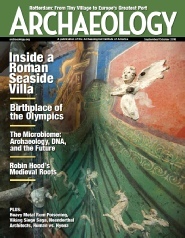 An Archaeological and historical Landscape Analysis. Andy Gaunt and James Wright, 2011. University of Birmingham Institute of Archaeology and Antiquity: Clipstone Park and the Kings Houses- Reconstructing and interpreting a medieval landscape through non-invasive techniques. by David Budge (and a chapter on the Neolithic by Chris Robinson). 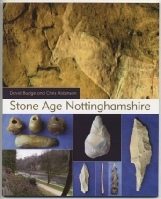 Before becoming a director of Mercian Archaeological Services CIC; David Budge wrote a book on the archaeology of prehistoric hunter-gatherers in Nottinghamshire (whilst working for Nottinghamshire County Council). Excavation of the Medieval Boundary Ditch of King John’s Palace, Kings Clipstone, Sherwood Forest, Nottinghamshire. Andy Gaunt, David Budge, Sean Crossley, and James Wright, 2015. 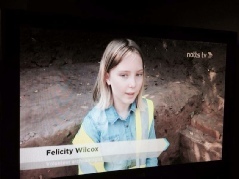 The Clipstone Village Archaeology Project Phase 1 Interim Report. David Budge and Andy Gaunt. 2013. Standing Building Survey Report: Brammer Farm House & Arundel Cottage. Interim Report. 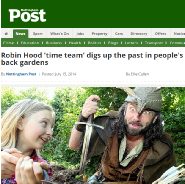 Robin Hood's Village Dig 2014, Test Pitting Project, Interim Report. Thynghowe Hanger Hill ‘Court Circle Excavation Interim Report. Carved 14th Century Medieval Window Tracery, from the site of King John’s Palace. Field- Walking at St Edwin’s Chapel, Clipstone. Interim Report. Geophysical Magnetometer Survey Interim Report., King John’s Palace, Clipstone. Excavation at King John’s Palace (Summer School 2014) Interim Report. Edwinstowe Test Pitting Project Interim Report. Standing Building Survey Report: Maun Cottage. Interim Report. An Integrated Archaeological Survey of Cuckney Churchyard, Castle, and surroundings. Cuckney, Nottinghamshire, 2016. Archaeological Report. Andy Gaunt and Sean Crossley, 2016. Discover King John’s Test-pitting project Interim Report. 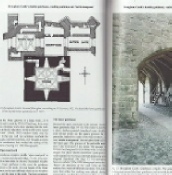 Geophysical Ground Penetrating Radar Survey, King John’s Palace Interim Report. Thynghowe Geophysical Magnetometer Survey Interim Report. Cuckney Castle and Churchyard Survey Interim Report. Ashby de la Zouch Geophysical Magnetometer, and Resistance Survey, and Topographic Survey Report 2016. Ashby Bath Grounds, memorial Field and Council Field, Ashby de la Zouch, Leicestershire. Archaeological Report. Excavation of an 18th Century Pottery Kiln at Ley Farm, Heath End, Ashby-de-la-Zouch, Leicestershire. Interim Report. “Digging the Demense”, Community Archaeology Test Pitting Project, at Waterfield Farm, King’s Clipstone, Nottinghamshire. Interim Report. David Budge and Andy Gaunt, 2014. King John’s Ruin: In Sherwood Forest and the Peak District, Tony Robinson explores the story of King John, the hapless monarch who stumbled from one crisis to another. Channel Four’s Walking Through History with Tony Robinson- Andy Gaunt Interviewed by Tony Robinson at King John’s palace, and at The Parliament Oak in Sherwood Forest. Andy Gaunt acted as programme consultant, locations advisor and onsite expert. 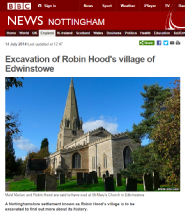 East Midlands Community Archaeology News, Issue 1. Daryl Garton, Colin Baker, Vanessa Banks, Nick Barton, David Budge, Simon Collcutt, Simon Price, Ian Ross, Deodato Tapete and Richard Tyndall. 2015. Topographic Survey at King John’s Palace in Sherwood Forest. Castle Field, Waterfield Farm, Kings Clipstone, Nottinghamshire. Geophysical Magnetometer Survey at King John’s Palace in Sherwood Forest. 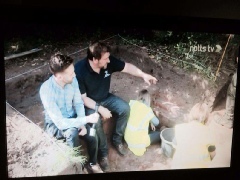 Discover King John’s Palace Ploughsoil Test-pitting at King John’s Palace in Sherwood Forest. Archaeoastronomical and Topographic Survey of Edwinstowe church, Edwinstowe, Sherwood Forest, Nottinghamshire., Nottinghamshire. Geophysical Magnetometer Survey at Thynghowe, Hanger Hill, in Sherwood Forest. Excavation at King John’s Palace 2016 Interim Report. 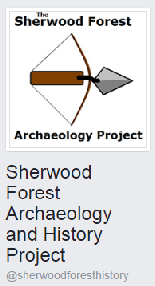 Excavations at Thynghowe, Sherwood Forest 2016 Interim Report. 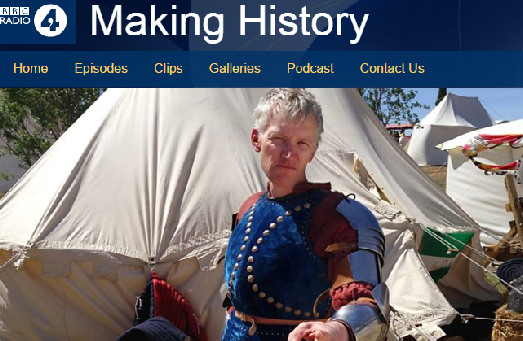 - Andy Gaunt and Mercian have been on Radio 4 a number of times promoting our work and providing insights into the history and Archaeology of the region. 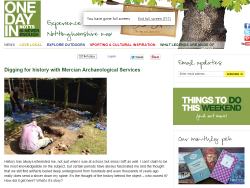 The Derbyshire Archaeological Journal: Fieldwork in Derbyshire by Mercian Archaeological Services CIC 2013-2015. 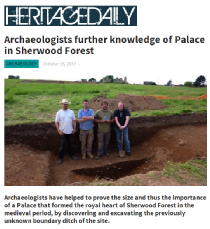 ‘A palace for our kings’ - A decade of research into a royal residence in the heart of Sherwood Forest at Kings Clipstone, Nottinghamshire. James Wright & Andy Gaunt, 2014. Geophysical Magnetometer Survey of Clipstone Peel, Beeston Lodge, in Sherwood Forest. The ‘CourtCircle’ Excavation at Thynghowe, Hanger Hill, Sherwood Forest, Nottinghamshire. Archaeological Report. Gaunt and Crossley 2014. St. Edwin's Chapel fieldwalking, Clipstone, 2017. Interim Report. Geophysical resistance Survey at Thynghowe, 2017 Interim Report. Topographic and Magnetometer Survey at Clipstone Peel, 2017. Interim Report. St. Edwin's Chapel ploughsoil test-pitting, Clipstone, 2017. Interim Report. Medieval Wall Paintings at the Church of St Mary, Cuckney, Nottinghamshire. Norton Cuckney, Bassetlaw District, Nottinghamshire. Geophysical Ground Penetrating Radar and Topographic Survey of St Helen’s Church, Ashby-de-la-Zouch, Leicestershire. 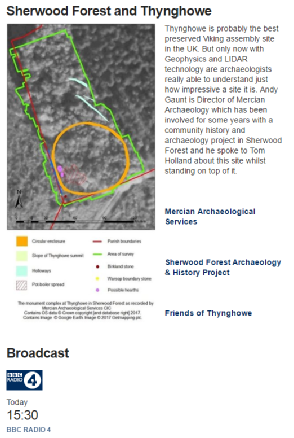 The Sherwood Forest National Nature Reserve Archaeology Survey, 2018 Annual Report.